How does Yale’s endowment invest in Puerto Rican debt? Yale does not directly invest in Puerto Rican debt; it invests through fund managers and private equity firms. According to Charles Decker GRD ’18, Ward 9 alder and a leader of the Yale graduate student union Local 33, which has long advocated for transparency when it comes to endowment investments, Yale’s indirect investments are a staple of Swensen’s investment strategy. Decker said that Swensen’s appointment as chief investment officer in 1985 saw a shift from direct investments to investments in fund managers and private equity firms. In other words, while Yale does not directly invest in Puerto Rican debt, it does invest in fund managers that directly invest in Puerto Rican debt. One of these fund managers, the Boston-based Baupost Group, had invested over $1 billion in Puerto Rican debt by 2017. Baupost is one of those funds that has earned its reputation. Baupost’s stunning success in Iceland helped it turn in strong returns in the years just following the financial crash, gaining 20 percent in 2009 and another 13.4 percent in 2010. Moreover, Klarman’s investors are primarily endowments and charities, including Ivy League universities that abhor being dragged into international crises. Klarman was able to make such lofty returns for these investors without a hint of controversy, keeping the stellar reputation that has endeared him to them. For some that was not enough and they urged the school to divest. Baupost’s focus on endowments as clients has given the activists an opening. University endowments aren’t entirely bound by the profit motive, and their higher moral purpose has enabled them to lead the way in divestiture campaigns in everything from South Africa and private prisons to tobacco and fossil fuels. As a result, Puerto Rico activists are finding a sympathetic ear among students as protests at Harvard, Yale, and Cornell have targeted Baupost’s investment. Students at Yale, which has about $835 million in Baupost, have been particularly responsive. But the school’s Advisory Committee on Investor Responsibility (ACIR) concluded otherwise. After decades of depressed economic activity and unsuccessful policy initiatives, Puerto Rico’s debt levels rose to unsustainable levels, leading the Commonwealth to default on July 1, 2016. In September 2017 – while Puerto Rico was in the midst of restructuring its finances – Hurricane Maria caused widespread destruction and plunged the island into a severe humanitarian and economic crisis. As Puerto Rico’s plight grew, a coalition of activists directed their energy towards Puerto Rico’s creditors – in particular, hedge fund managers – calling on them to divest or forgive holdings of Puerto Rican debt. When campus groups at Yale, as well as other state and local organizations, demanded that the University disclose all investments in Puerto Rican bonds, cancel all those held by Yale, and fire investment managers who refuse to sell or forgive the debt, the matter was referred to the ACIR. The ACIR concluded in January 2018 that divestment from Puerto Rican debt is not warranted when an investor is abiding by the applicable legal framework in a process in which the debtor’s interests are appropriately represented. 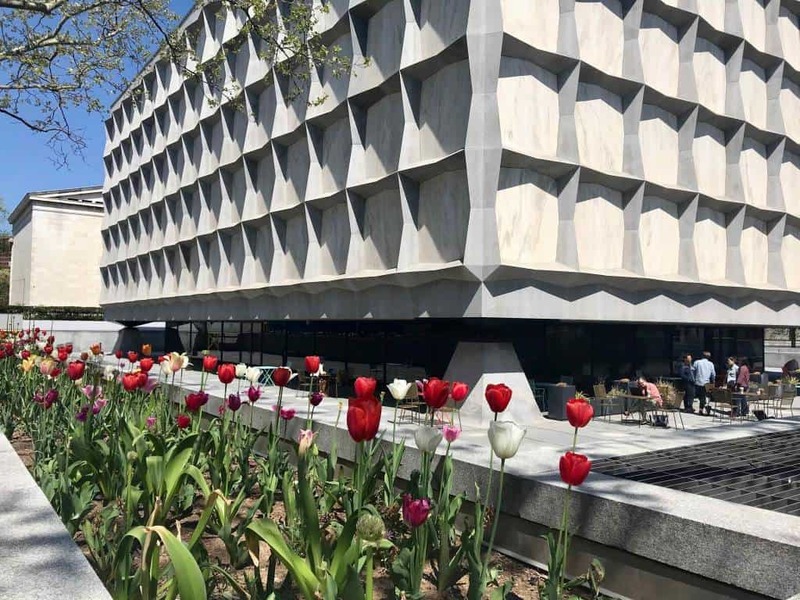 Tulips in front of the Beinecke Rare Book & Manuscript Library on Yale campus.